Just got back from San Francisco – a city of cruel contradictions. For every Brooks Brothers shirt in flip-flops grabbing their grilled chilli cheddar corn bread with jalapeño jelly to go, there’s a vagrant in a wheelchair howling at the sky. And as well they might, the weather is as contradictory as the fortune. 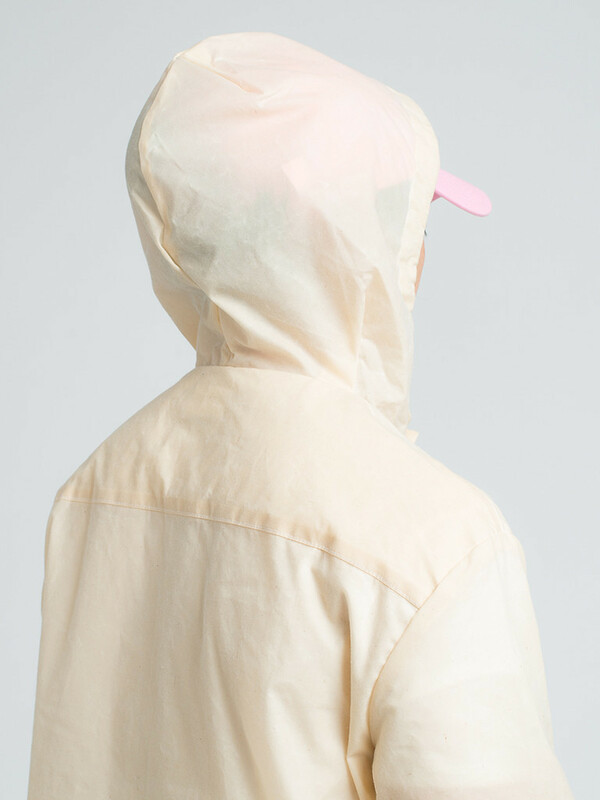 The morning sun will sear some colour into your cheeks in minutes, but by the afternoon your ‘water resistant’ Japanese cagoule will be showered into submission. 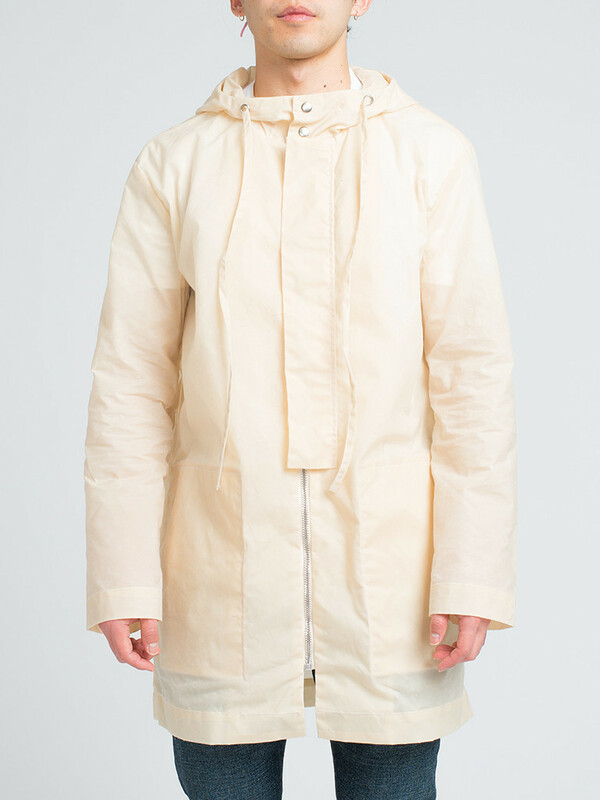 Might have been a good idea to pack this Simon Miller parka. It’s heavily waxed apparently. And, “made out of an unfinished fabric that is bound to age in a unique manner.” Mmmm… “bound to age in a unique manner“? I’m not being a pain here, but, you could say that about pretty much any garment right? Or indeed pretty much any thing? Still at 515 dollar dollar bills, I guess it doesn’t hurt to toss a bit of romantic twaddle at the situation. 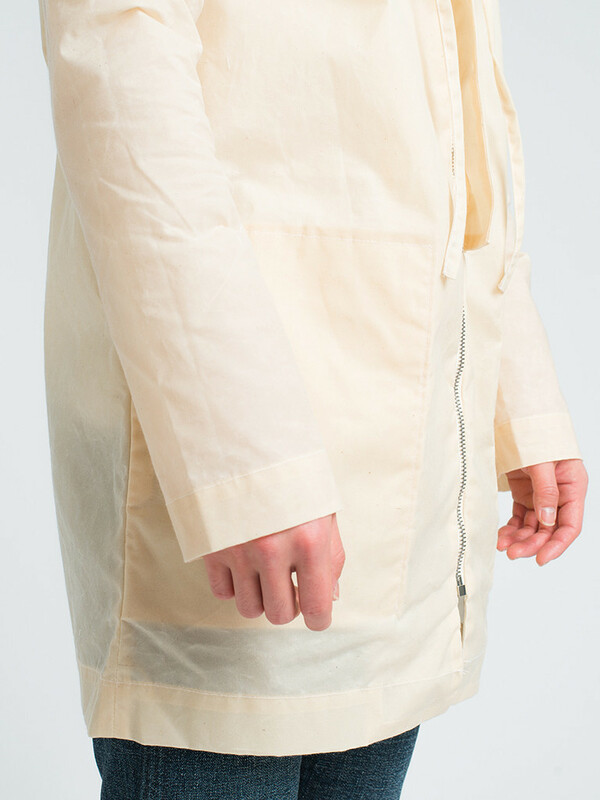 Onboard you’ll find a drawstring hood and a press stud fastening with a flap covering half the zipper. Plus, it won’t have escaped your notice that it’s in a sort of natural colour. 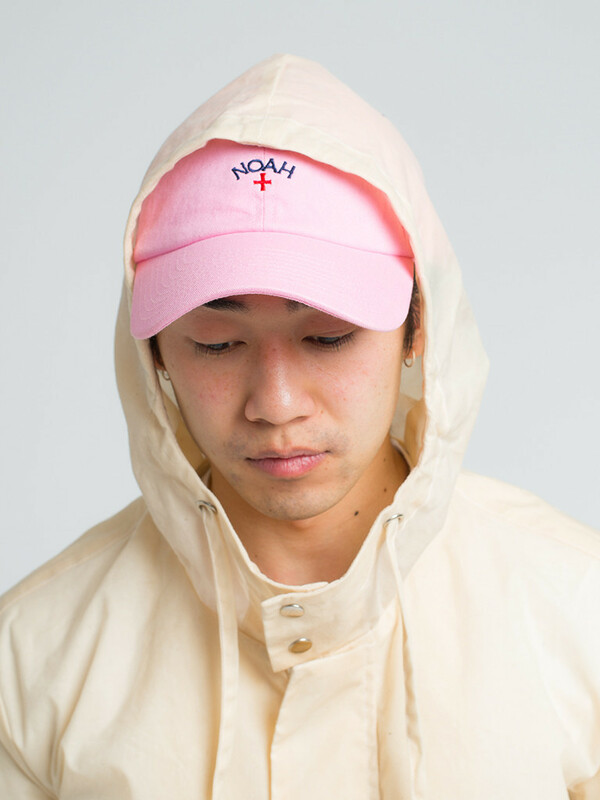 Ideal for spring chills or sudden summer downpours. And of course, even as the guilt nibbles at your conscience, throw the hood up on this costly parka and you’ll easily dodge the gaze of the guy prostrate, in a puddle of his own piss.